For a list of upcoming seminars, lectures, and conferences, see the Seminars and Conferences page. For past events, see the Event Archive below. The ACRC was launched by Professor Jim Piper, Deputy Vice Chancellor (Research) of Macquarie University, on Saturday 15th August 2010 during the Australian Centre for Egyptology Annual Conference. The Associate Dean (Research) of the Faculty of Arts, Professor Andrew Buck, and the Chairman of the Centre's Advisory Board, Emeritus Professor Bob Milns, also spoke at the launch. The message of the New Testament was written down in texts, copied by early Christian scribes and has been studied to the present day. The 2010 Conference was held in the Conference Centre at Robert Menzies College, Herring Road, North Ryde. - Dr Don Barker, The Turin Shroud - the Image of Jesus? - Professor Edwin Judge, Does Iconoclasm reflect the word of Jesus? Venue: The Auditorium, Ryde Eastwood Leagues Club. The guest speakers featured Salim Ikram, Professor of Egyptology at The American University in Cairo, and Dr Aiden Dodson, Senior Research Fellow, Bristol University UK. Prof. Ikram is a leading expert on animal mummies. As founder and co-director of the Animal Mummy project at the Egyptian Museum in Cairo, she has emerged as one of the leading scholars in Egyptian funerary archaeology. Dr Dodson's research interests include Egyptian funerary archaeology; dynastic history; and the history of Egyptology and royal funerary archaeology of Europe. Current work covers a variety of areas within Egyptian archaeology, but centre on the development of funerary equipment and architecture, history and chronology from Second to Third Intermediate Periods, and the history of Egyptology and Egyptian collections, particularly in the south west of England. Our visiting scholars have co-authored two well known and widely used books: The Mummy in Ancient Egypt: Equipping the Dead for Eternity and Death and Burial in Ancient Egypt. The study of Coptic art has not always received the attention it deserves in the history of early Christianity. This symposium, presented by the Society for the Study of Early Christianity, sought to address this neglect by suggesting ways to approach Coptic art and its significance for a deeper understanding of Christianity in Egypt. The three speakers at the symposium are more than qualified to guide us on a tour of this rich and vibrant tradition of Christian iconography. Kathryn Welch (University of Sydney), Dionysius on Veturia: a Civil War Myth? Ben Brown, The Laughter of Hekataios: Reflections on the Beginnings of Secular Historical Narrative in Greece. Hannah Cotton (Hebrew University, Jerusalem), Cicero's Letters of Recommendation and Private International Law in the Roman World. Miriam Gillett, Valuing Identity: Etruscan Numismatics. The joint symposium was presented by the ACRC and the Centre for Early Christian Studies, Australian Catholic University. As the first symposium in this series, it brought together historians, papyrologists, and linguists to discuss the issues shaping our understanding of the ancient letter. It was held on 15 November 2010. For more details of the 2011 Symposium, see here. Venue: Building X5B, Theatre 1 (ground floor). Venue: Museum of Ancient Cultures, Level 3, Building X5B. Professor Keith Rutter (University of Edinburgh) presented his paper 'Coins of the Early Persian Empire'. Dr Cavan Concannon, 'Paul and Spectacle in Roman Greece' ? Jenny Cromwell, 'Wadi Sarga Texts'. The seminar featured speaker Prof George Brooke, Rylands Professor of Biblical Criticism and Exegesis at the University of Manchester and an internationally recognized scholar of the Dead Sea Scrolls and the Septuagint. The Society for the Study of Early Christianity presented reports on recent research by Coptic Studies scholars in the Department of Ancient History, which was showcased in two illustrated presentations. Dr Jennifer Cromwell, a new Macquarie University Research Fellow in Coptic Studies who arrived from the University of Oxford in April 2010, presented a paper on archaeological and textual evidence for Bishops in Thebes. Dr Victor Ghica, who teaches Coptic in the Department of Ancient History, reported on his excavations of monastic sites in the Eastern and Western deserts of Egypt. During the last two decades many questions have been raised concerning basic concepts and paradigms in the field of "Biblical Archaeology", i.e. the relationship between archaeological research and the history of ancient Israel. This seminar focussed on the current debate relating to the 10-9th centuries BCE, the time of the United Monarchy of David and Solomon and of the beginnings of the divided kingdoms of Judah and Israel according to the biblical narrative. The focal point of this debate is whether the paradigms dominating scholarship until the 1970's remain valid in light of critical modern research. New meticulous excavations, extensive use of radiometric dates, new analysis of artifacts, fresh interpretations of old excavations and spatial analysis of survey results are all used in this debate. Alas, no agreement has been achieved and several optional solutions are still possible. Professor Amihai Mazar is one of Israel's most prominent archaeologists. Amihai studied at the Hebrew University of Jerusalem, where he was awarded his doctorate on Philistine material culture. In 1979 he took up a post as a Research Fellow at the Institute of Archaeology in London, although his lecturing career had commenced in 1977 jointly at the Hebrew University and the Ben-Gurion University in the Negev. 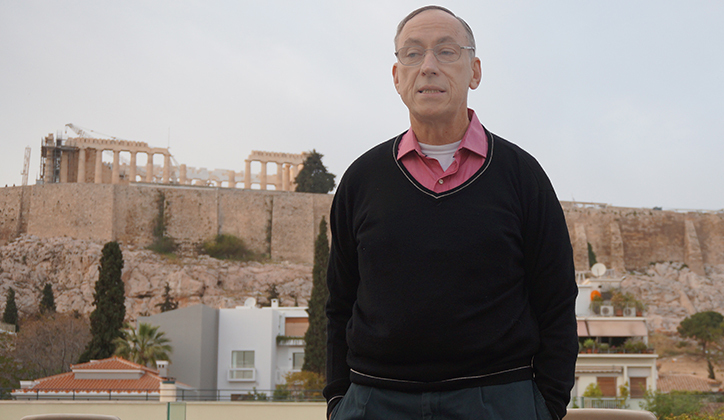 He has dedicated his career to the understanding of the Bronze and Iron Ages in the southern Levant, and recently retired as the Eleazar Sukenik Chair of the Archaeology of Israel at the Hebrew University, Jerusalem (1994-2011). He was awarded the Israel Prize for Research in Archaeology in 2009, was a member of the Council of the Israel Antiquities Authority (2000-2005) and Chairman of the Institute of Archaeology of the Hebrew University in Jerusalem (1995-1998).He has been director of archaeological excavations at Tell Qasile (1973-1974, 1982-1988), Tel Batash (biblical Timnah) (1977-1989), Tel Beth Shean (1989 - 1996) and Tel Rehov (1997 - 2010). He also undertook smaller scale field projects at the "Bull Site" in Samaria, Giloh, Khirbet Marjameh, Khirbet Abu et-Twein, Hurvat Shilhah and Hartuv. For further details about the conference contact Paul McKechnie. The second joint Symposium presented by ACRC and the Centre for Early Christian Studies, Australian Catholic University was held on the theme of Letters in Antiquity on 30th September 2011. The series, which brings together historians, papyrologists, and linguists to discuss the issues shaping our understanding of the ancient letter, was first held on 15 November 2010. For further details contact Andrew Gillett. For further details about the program, download the Program & Registration Form. For more, contact Paul McKechnie. 27-28 September: This conference brought together specialists in pre-modern societies of the Mediterranean world and adjoining cultures, from the ancient Near East, through the Egyptian and Classical worlds to Byzantium and Renaissance Europe. The papers contributed to a deeper understanding of the processes that drive the operation of pre-printing cultures, and transmit knowledge and traditions forward in human societies. Julien Cooper (Macquarie University), 'The Sudanese-Eritrean Coast in Classical Toponymy and Interpretatio Graeca'. Brigitte Kahl (University of Columbia) "Re-Imagining Paul's Hagar at Aphrodisias"
Christ or Caesar? Render Unto Caesar? Visiting Speaker: Professor Brigitte Kahl (Columbia University NY). Commemorating the Bi-millenium of the Death of Augustus. For enquiries and further details on the ACE's events, see here, or contact egypt@mq.edu.au or ph (02) 9850 8848. 16-19 July, 2014: Following the very successful conferences in Melbourne (2009) and Auckland (2011), Macquarie University hosted the Third Australasian Egyptology Conference. The conference was open to postgraduate research students and scholars who presented their current research in Egyptology and Coptic Studies. For more information on the conference program and a list of abstracts, click here. - Program: Click here to download the conference's program. The conference explored aspects of the fusion between politics and the management of public resources in Athens during the years between the defeat of the Persians (479 BC) and the arrival of Alexander the Great. It concluded with the 2014 Gale Lecture in Numismatics with guest speaker Dr. David M. Pritchard discussing 'Public Spending and Democracy in Classical Athens'. The findings of PhD researcher Miral Lashien and the ACRC's vivid re-recording of the Chapel of Kahay at Saqqara, Egypt are explored here. Jennifer Cromwell's recent research at the British Museum are discussed here, offering new insights into the lives of the Coptic monks of Wadi Sarga, Egypt. Information on Yann Tristant's exciting new findings at the First Dynasty cemetery of Abu Rawash can be found in this article. A free public lecture presented by the MQ Ancient Cultures Research Centre Visiting Fellow for 2014, Professor Hans-Werner Fischer-Elfert of University of Leipzig's Egyptological Institute. More information may be found in this poster. 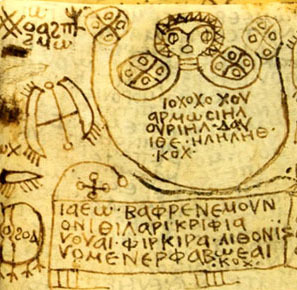 17 October, 2014: A one-day workshop addressing the textuality and contextuality of magical texts in the ancient world with a focus on surviving papyri from Egypt. Details on the workshop, including a program, may be found here. 8-10 December, 2014: An international conference on ancient Chinese thought and the newly recovered ancient bamboo and silk texts in December 2014. More can be found here. Associate Professsor Kenneth Sheedy has been appointed to a prestigious 'double' fellowship in Oxford from July 2014. A cross-institutional collaborative project jointly led by Dr Jana Jones has revealed scientific evidence for the earliest practice of Egyptian mummification. The spectacular fortress of Masada on the Dead Sea was the last stronghold to fall to the Romans three years after the destruction of the Jerusalem Temple in 70 CE. The suicides of some 960 defenders and their families, as dramatized by the historian Josephus, has entered collective memory as a legend of resistance to the last. It has inspired Jews from mediaeval martyrs to the Shoah. Now it is a UNESCO World Heritage Site and a major tourist attraction. We will revisit both the story and the remarkable archaeology of Masada. We shall then look into Masada's iconic role in Zionist history and in Israeli society, concluding with some discussion of recent critiques of the 'Masada myth'. Brought to Australia by the Australian Institute of Archaeology, Dr. Ron Tappy is the G. Albert Shoemaker Professor of Bible and Archaeology. He also serves as director of the Kelso Museum of Near Eastern Archaeology and as the project director and principal investigator of The Zeitah Excavations, an archaeological field project at Tel Zayit, Israel. For more on Dr. Tappy's work, see here.